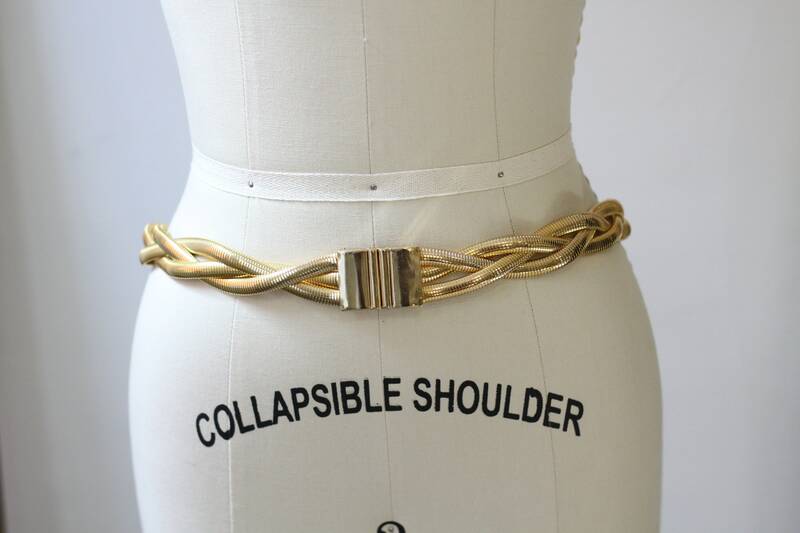 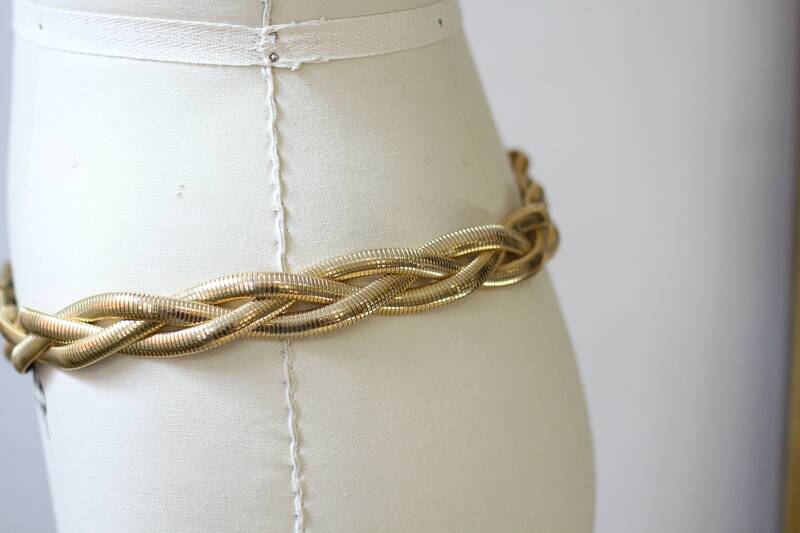 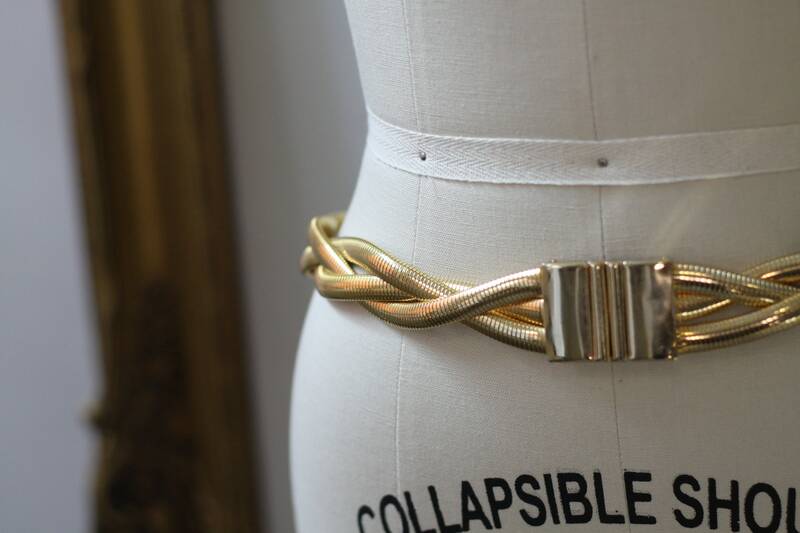 1980s gold snake chain multi-strand braided belt. 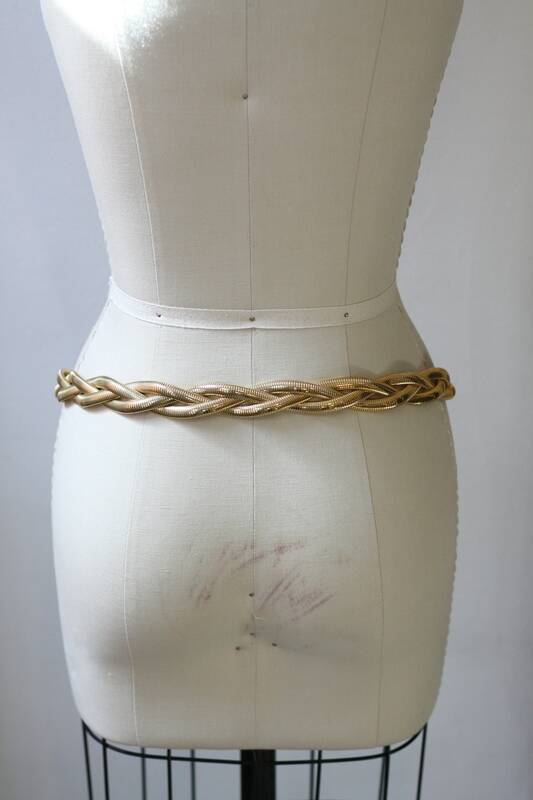 Three strands of wider snake chain braided into a larger belt. 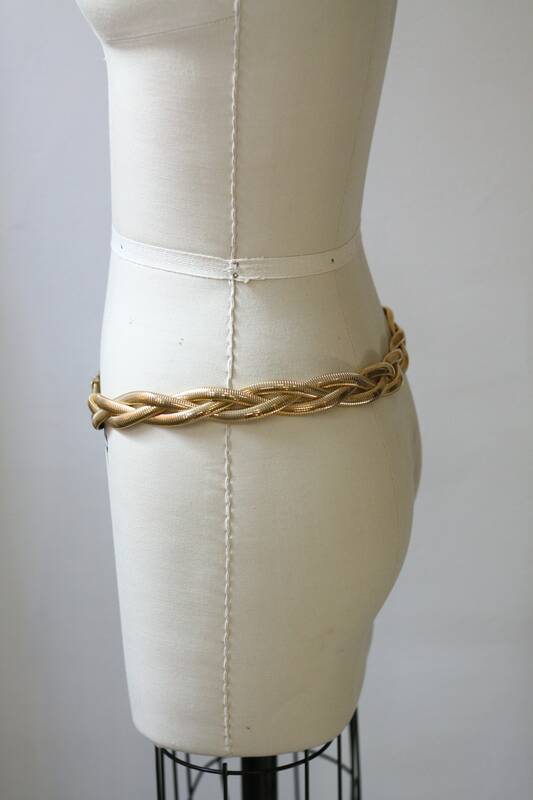 Gold metal buckle sits in the middle of the belt and has a latch closure.